Dr. William Lau worked in a top-tier investment bank before joining The Chinese University of Hong Kong (CUHK) Business School. He obtained a PhD in Decision Sciences and Managerial Economics, and passed all levels of the Chartered Financial Analyst (CFA) programme at his first attempt with scholarship awarded by Hong Kong Society of Financial Analysts (HKSFA). Dr. Lau is passionate in teaching and always emphasizes practicality and interaction in his classes. 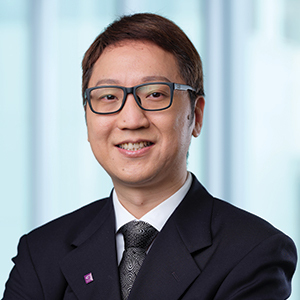 Apart from the undergraduate and postgraduate programs he teaches at CUHK, he also taught MSc in Finance for University of Michigan-Dearborn, and conducted executive training for the Asia-Pacific Institute of Business, Institute of Financial Planners and other listed companies in Hong Kong.